If a plant is growing where we don’t want it we call it a weed. However, when it makes delicious table fare maybe we should rethink our rules. Lambsquarter, Chenopodium album, fits the bill perfectly here. It’s probably my favorite green that can be grown here in eastern North Carolina. Others have used the leaves to treat diarrhea as well as scurvy, since it is a good source of minerals and vitamins including Vitamin C. A cup (180 grams) of chopped greens contains nine grams of carbohydrate of which four are fiber. There are also six grams of protein and less than a gram of fat. Ground seeds make high protein flour. Tom and I have discussed marketing this cosmopolitan invasive green ever since my wife and I moved to the Elizabeth City area in 1996, but we’ve never pursued it. It’s easy to recognize. Lambsquarter leaves are alternate and diamond-shaped with a toothed edge. The undersides are covered with white powder. Growth tips are whitish as well and sometimes exhibit tinges of red. It is best if picked when less than six inches tall. Sometimes plants can obtain a height of eight feet. Each plant, when left to mature, can produce 75,000 seeds, so it’s no wonder it has become so widespread. In fact, this member of the goosefoot family is one of the most widely distributed weeds in the world. It’s also a host to the beet leafhopper that transmits plant viruses and is resistant to many commonly used herbicides. I like to steam it lightly and serve it with a little butter and salt, but young shoots are also excellent raw in salads. It can be substituted in any recipe for spinach, chard or beet greens. Once stems start to get woody only the leaves and youngest growth tips are worth eating, but they are still excellent. Finding enough for a mess is rarely a problem. One downside for culinary use is that it is an accumulator of oxalates, so it might not be the best choice for someone who develops kidney stones. Lambsquarter also contains relatively large amounts of vitamin K like domestic spinach, collards, and kale do, which is generally good, but people on blood thinners might want to avoid these as well. As for my favorite green of all I’d have to pick fiddleheads, a northern native properly called Ostrich fern, but that report will have to wait for another day. 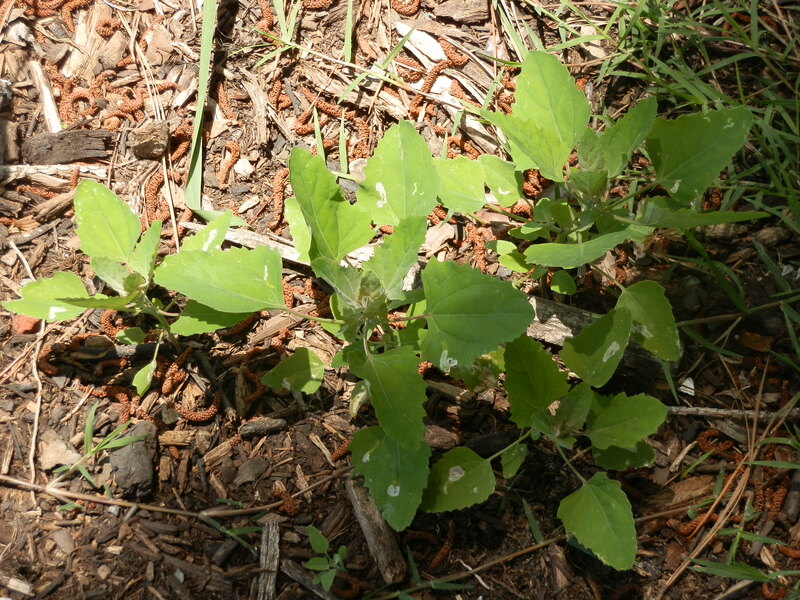 This entry was posted in foraging and tagged Chenopodium, foraging, lambsquarter, nature, oxalates, weed. Bookmark the permalink. I didnt know that these weeds were around here, I’ve never heard of them nor known that you could eat them. It seems like another healthy alternative other than something than vegetables.